Hello Cheapo Dies Fans!! 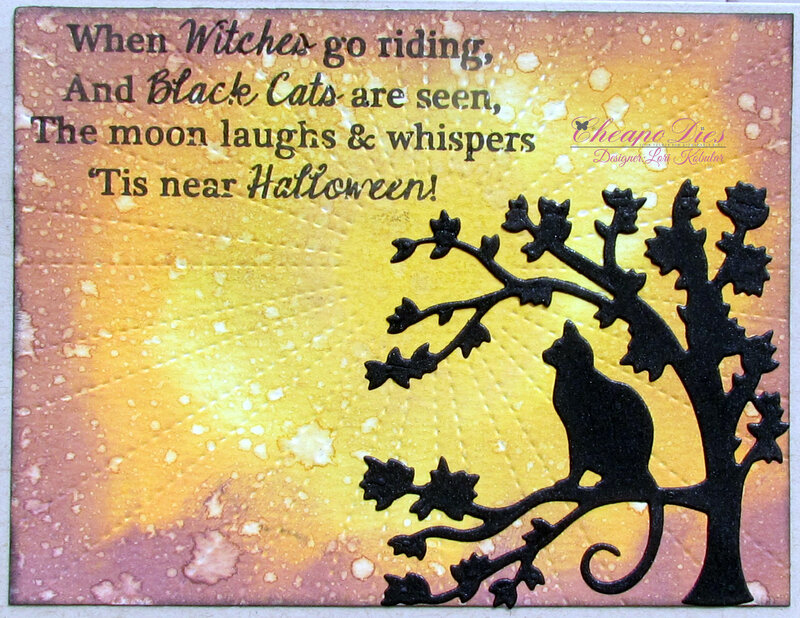 Lori here today with another Halloween card! 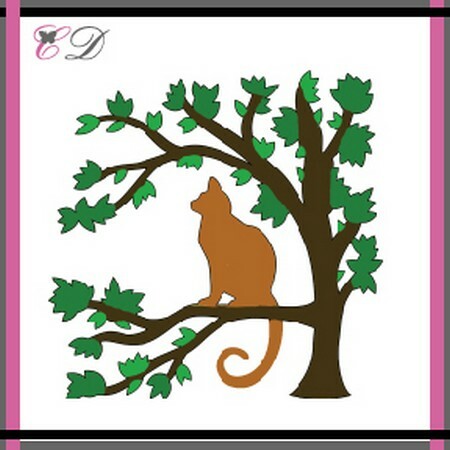 For this card I used the Exclusive Cheapo Dies Cat Sitting on Tree die. For this A2 card I started with Neenah Desert Storm card stock for the base of the card. I took a piece of watercolor paper, my blending tool and Fossilized Amber, Wild Honey, Spiced Marmalade and Wilted Violet distress oxide and added them to the paper. I then spritzed it with water and dried it with my heat tool. I took some black paper and the Cheapo Dies Cat Sitting on Tree die and cut that out and added that to the bottom right side of the paper. I took some black ink and stamped the sentiment onto the card on the upper left hand side. I took some black ink and inked the edges of the paper and then added it to the card. Be sure to stop by the Cheapo Dies Blog daily to see some new inspiration from the Design Team! Oh, I love that die. I should have ordered that one too. And, especially how you made such a great Halloween card with it. And, the sentiment is a great one as well. I just love the whole card design. Wow, fabulous designed card Lori, the background is amazing and a perfect sentiment as well...love it! !